The perfect bread for your fall baking list. 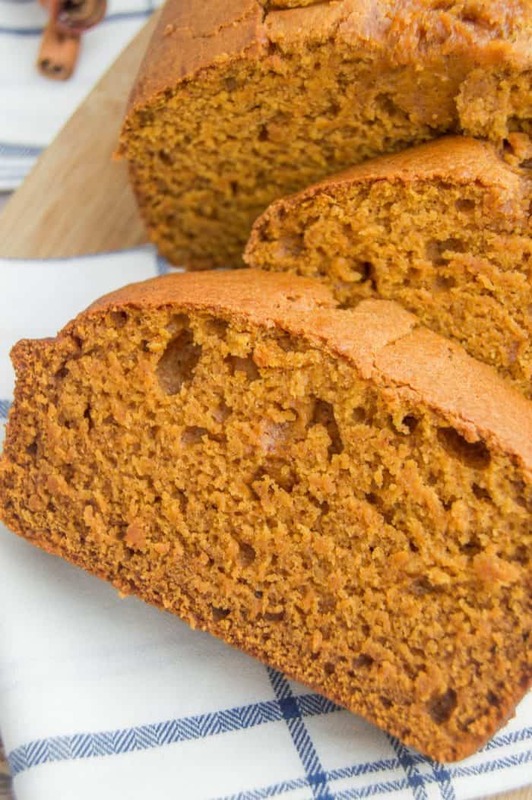 This is The Best Pumpkin Bread, soft, moist, and full of your favorite fall flavor. It’s almost fall y’all and I am so ready for all the pumpkin things! The bread, the coffee, and cookies, you name it I will eat it I pumpkin spice. Okay I have my limits, no pumpkin spice hot dogs or anything. 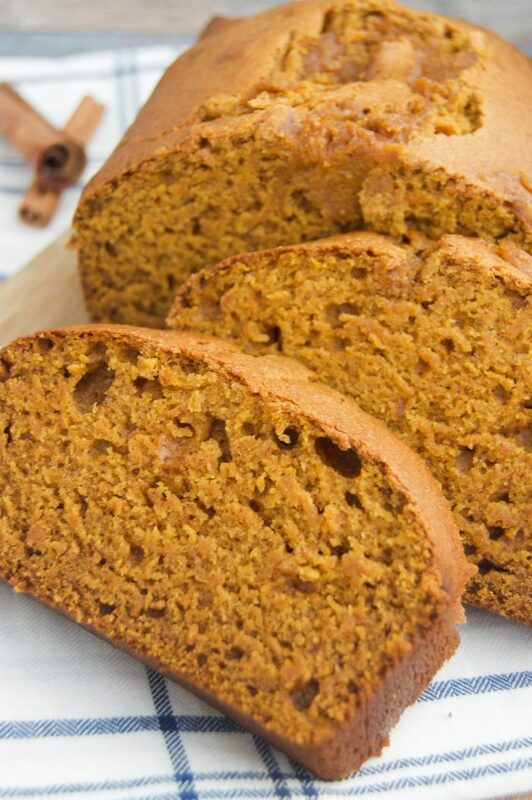 If you are as pumpkin crazy as I am then you are going to want to try this bread recipe. So yum! Soft and moist with the perfect fall flavor baked right inside. 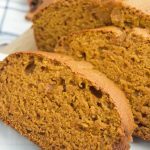 When you are done with this recipe then make sure to check out more of my yummy pumpkin recipes. Preheat oven and prepare a bread pan with non stick spray and set aside. Slowly whisk in dry ingredients in with the wet. Remove half way to cover with foil or move to a lower rack so the top of your bread does not burn. Bread is fully cooked when you can place a butter knife inside and it comes out clean. 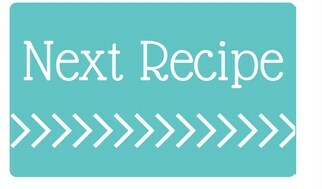 Banana Nut Bread: A classic recipe and one of my favorites. This simple is simple to make and one I’m sure you will love. Dutch Apple Pie Bread: Yep apple pie bread! 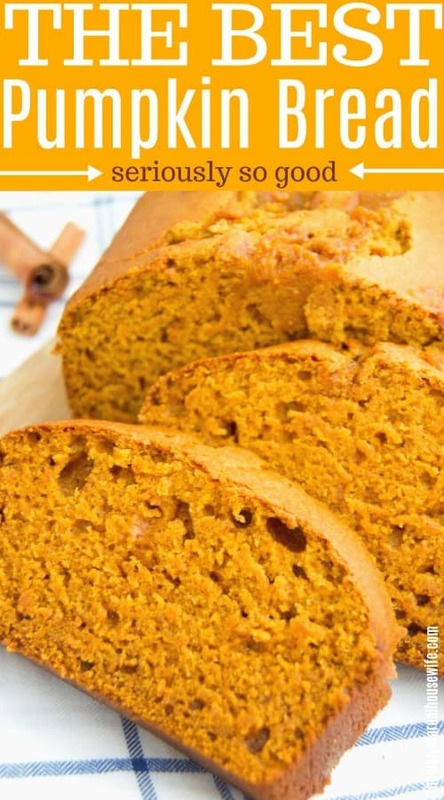 This recipe is so good and another perfect fall recipe! Gingerbread Loaf: This one you will have to save for Christmas time. It’s so good and has a cream cheese frosting. Preheat oven to 350 degrees. Prepare a bread pan with non stick spray and set aside. Whisk together flour, baking soda, salt, and pumpkin pie spice together and set aside. In a separate bowl whisk together eggs, sugar, brown sugar, oil, milk, and pumpkin puree. Slowly whisk in dry ingredients in with the wet. Tip: Remove half way to cover with foil or move to a lower rack so the top of your bread does not burn. Bread is fully cooked when you can place a butter knife inside and it comes out clean.